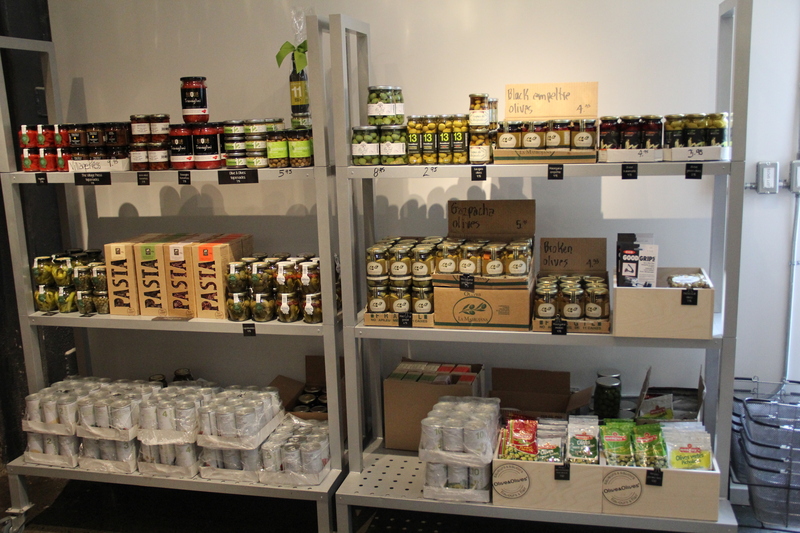 My initial visit to Olive & Olives was so successful that I simply had to return with a more extensive exploration of what this charming store has to offer. Had I noticed it before I had loaded myself down with my market list, I would have taken my time to wander slowly through the store. You know how it is. You have your list of things to pick up but end up with more. In my case, my shopping list tends to be a guideline because there are always extra things that end up in my grocery bags that were not on that list You wander through the market, picking up a little something here, a little something there. Eventually you pick up everything on your list… and more because the market can inspire and the menu you originally planned has somehow changed by the time to get from one end to the other. Happens to me all the time!! Needless to say, I was loaded down on my first visit. I did pick up a few things but here is a more extensive reveal of just what this little shop has to offer. 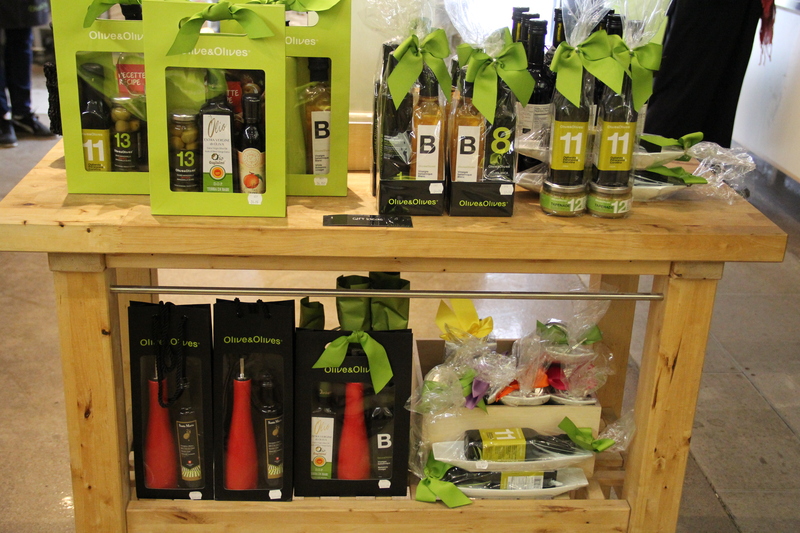 Olive & Olives was founded in 2003 by 2 epicureans in Montreal who wanted to provide exceptional authentic products, direct from producers and eliminating the middle man. They have quite a few locations in Montreal and have just opened a new store in Quebec City. Mia Sturup is in partnership with the owners in Montreal and heads the two locations in Toronto. Both Mia and Tal, her manager, are incredibly knowledgeable on the products in the store. The Queen St. East location is three years old and also has cooking classes (I will definitely be signing up for classes). 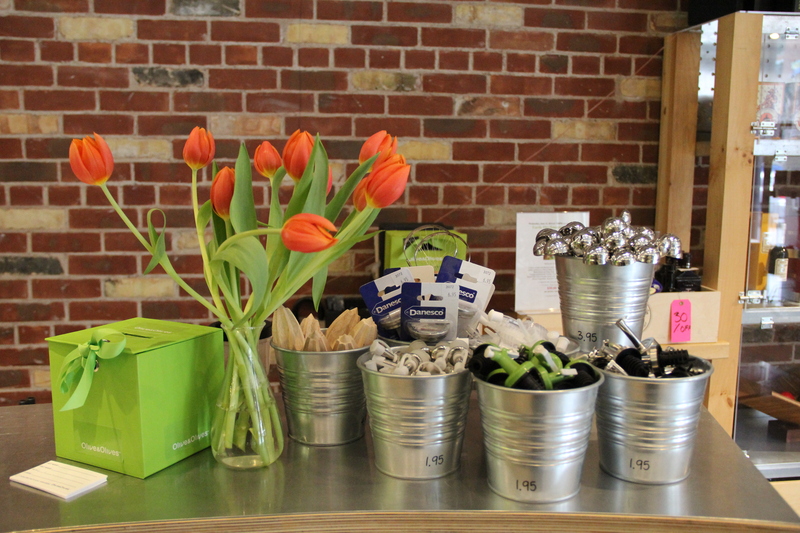 The Market St. location opened at the end of September 2013 and is right next door to the St. Lawrence Market. 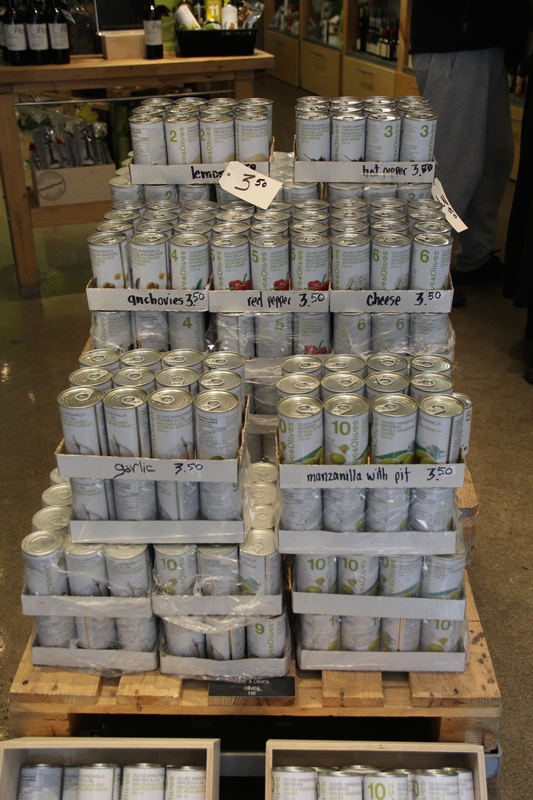 I have to admit, I have always had an aversion to canned olives. They always seem to be rubbery and tasteless. 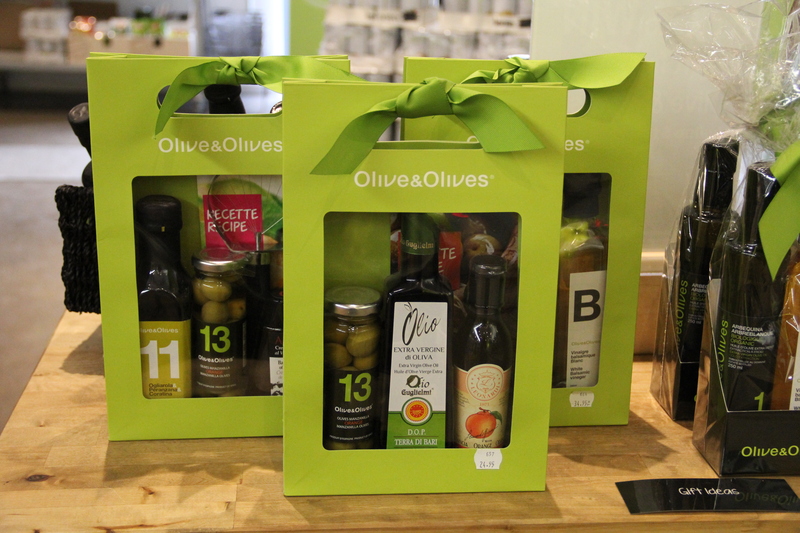 The selection you will find at Olive & Olives will definitely not disappoint. They are succulent, flavourful and a wide variety is available with or without the pits. 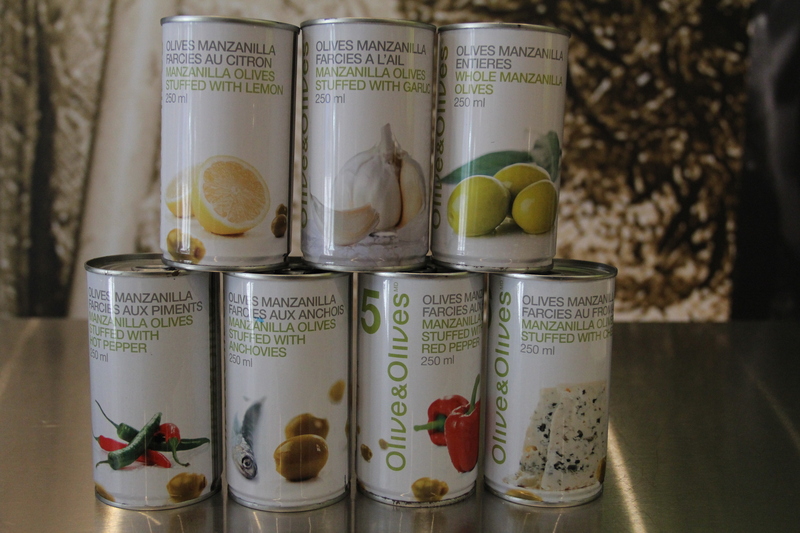 I picked up a can of each of the lemon, blue cheese and anchovy flavoured ones as well as bag of the lemon and Herbes de Provence olives and they are all really tasty. When I was speaking with Mia, she mentioned that “you should know where your oil comes from and always check the Best Before date”. 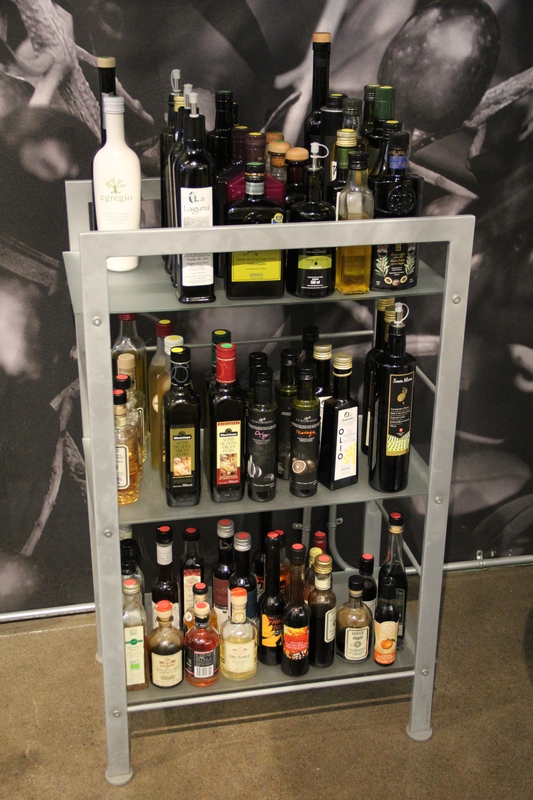 Spain is still the largest producer of olive oil in the world, extracting a whopping 95% of the golden liquid. I thought Italy would have been the largest producer, or possibly Greece but Spain wins the top producer prize. 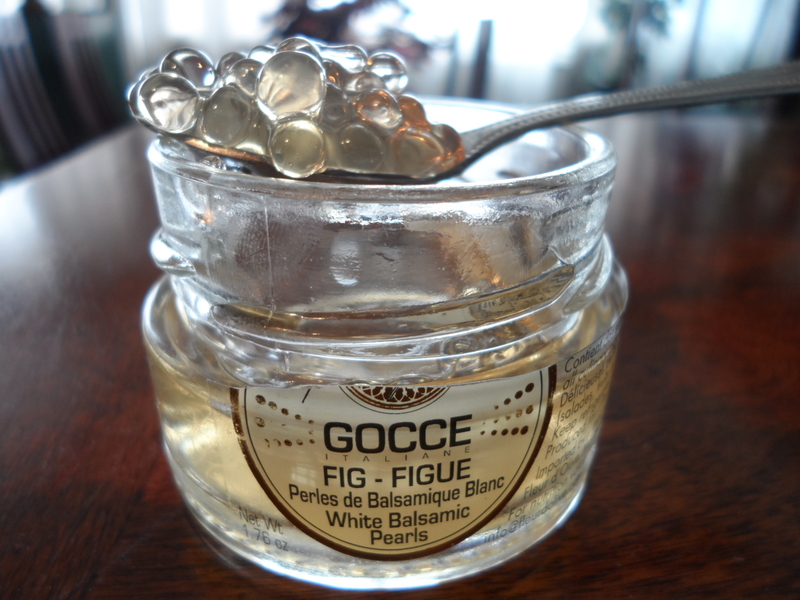 If you have purchased an expensive oil that you have opened but will only use for special dishes… DON’T!! Use it up, or it will go rancid on you. It’s like a fine wine. Once you’ve opened a bottle of wine, but only pour out a glass then put the rest in the fridge, or leave it on your counter… you will notice a difference in the quality when you pour the next glass. Obviously the oil will last longer once it has been opened, and you NEVER store it in the fridge, but don’t let it sit around for months either…. USE IT !! 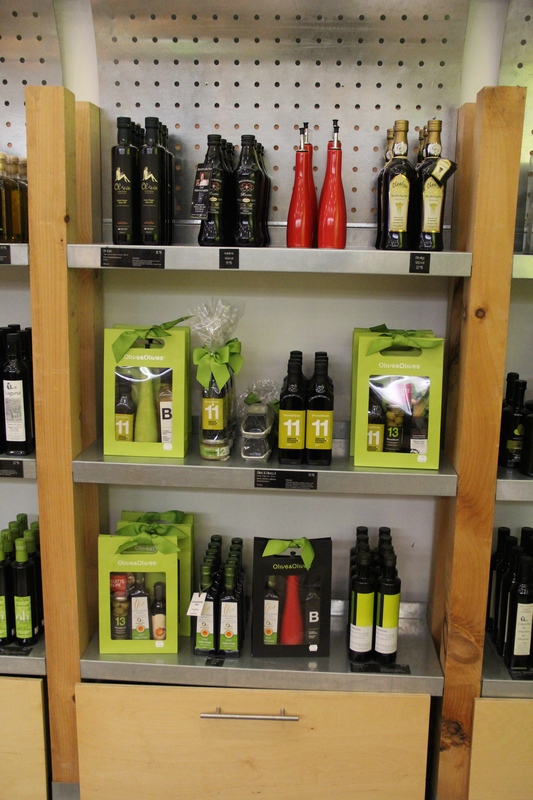 A really great thing about Olive & Olives is that you can taste almost everything in the store. All oils are different and, just like wine, you will like some better than others. Mia and Tal are the sommeliers of the oils and vinegars that they carry and can conduct you through a tasting of their products depending on what your palate prefers. Why not take the opportunity to taste before you buy. There’s nothing worse than wasting your money on a product that you will avoid using because you don’t like the taste, or you use it up despite the taste and don’t really like the results of the dish you just lovingly prepared. The one olive oil that I would highly suggest trying is their Pago de Queiles Grand Cru that they have to celebrate the 10th Anniversary of Olive & Olives. All I can say is that I have never tasted an olive oil that was so creamy and buttery. Incredible!! This oil comes from a small valley south of Navarra in Spain where olive trees have been cultivated and olive oil has been produced from times dating back to the Roman Empire. Hacienda Queiles owns all of their olive trees and can control the quality of the oil they produce. 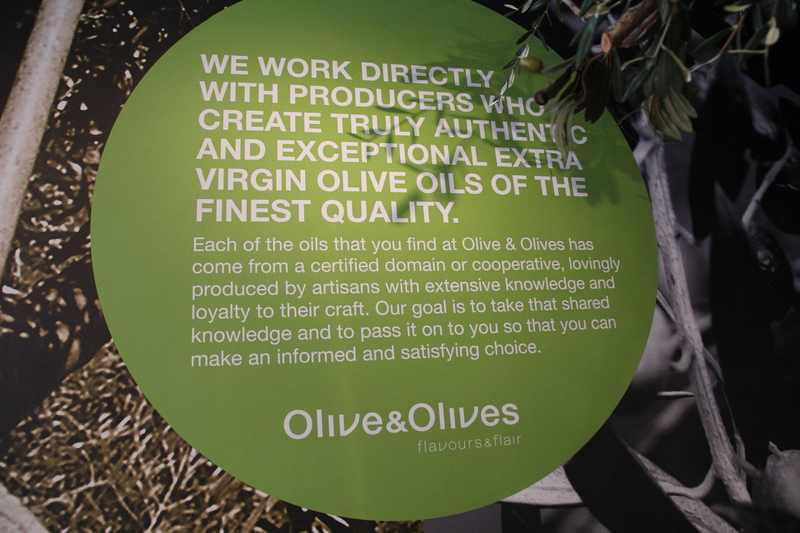 They are certified USDA organic and use no pesticides or artificial fertilizers on their olive groves. 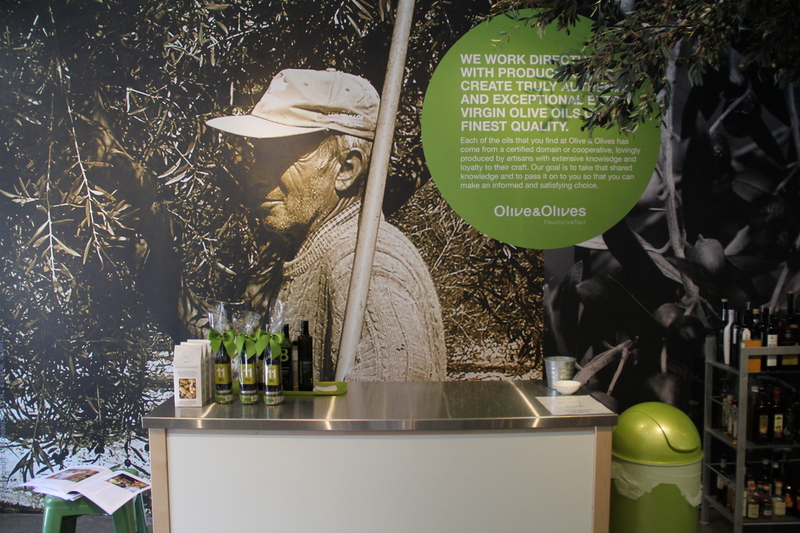 They do not store their olive oil in mass quantities but produce upon demand so that the quality of their oil is exceptional. If you like to make salad dressing with balsamic vinegar, but don’t like the colour of the dark balsamic, why not pick up a bottle of their White Balsama. It’s light, tart and wonderful drizzled in a plate with olive oil and a few twists of cracked pepper. 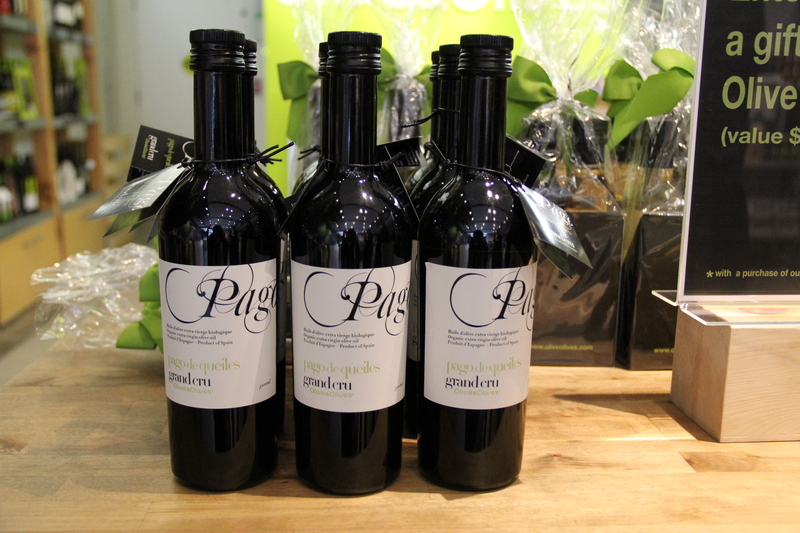 They also have sherry and wine vinegars as well as a champagne vinegar ~ give them all a taste and decide which you like best. 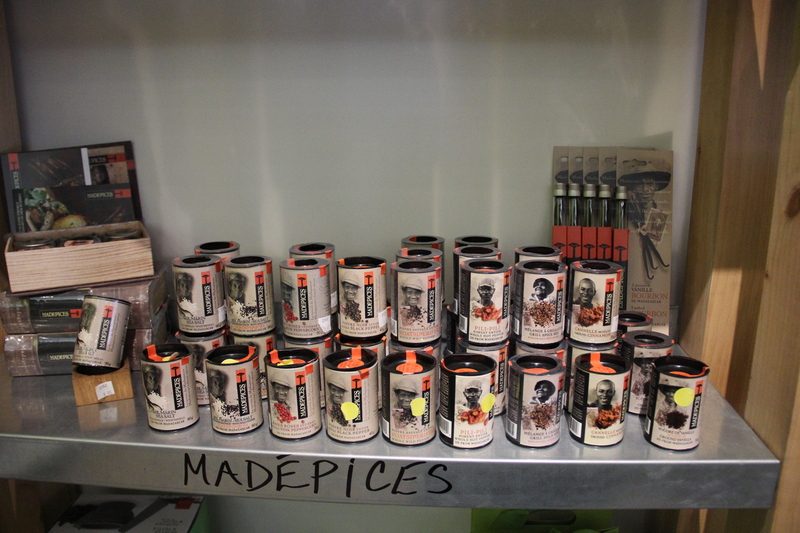 I was so happy when I saw the wall of these spices in the store. They are of exceptional quality and they keep adding to their selection. I first purchased a selection of these when I was visiting Paris a few years ago and had to charm them through customs when I was leaving France. Me: “Yes, but these are from Paaaaris” (as I batted my eyelashes and looked wistfully at the jars). Sure, I laid it on thick and played to the national pride of the agent, but they were from France and I wanted to bring a bit of Paris home with me. 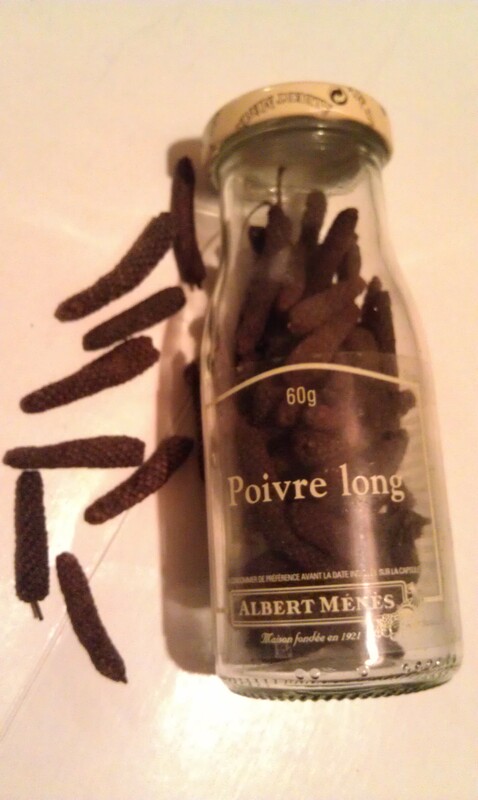 I had especially never seen Poivre Long. These dried peppers are super hard and you need to use a rasp to grate them because they will not go through your pepper grinder unless you crush them in a mortar and pestle. Even then, I would be careful if you put pieces in your grinder. 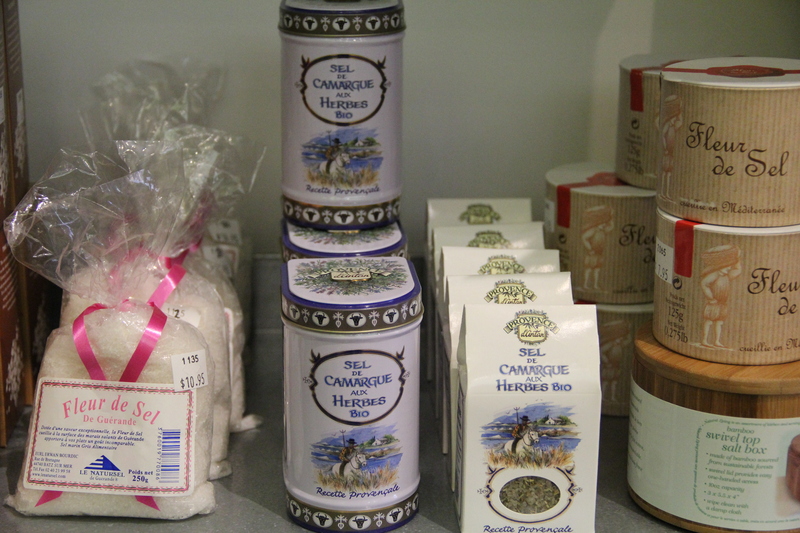 Any time you have the opportunity to travel to France, or have friends who will be there, pick up some Herbes de Provence. It is a wonderful all purpose mix of dried herbs (oregano, savory, rosemary, thyme, basil): great on meat, chicken, grilled veggies, omelettes, sprinkle on pizza, add to your bread recipes, soups…. anything!! 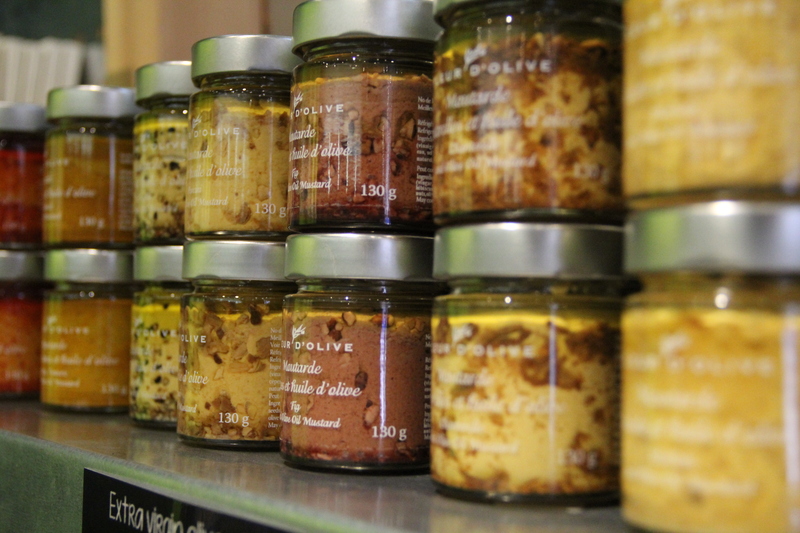 Or head to Olive & Olives and pick up a jar. 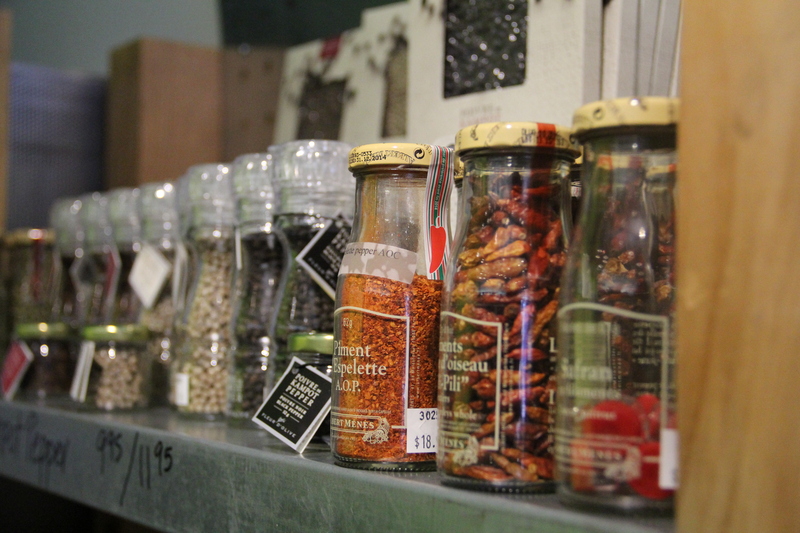 I will be exploring this line of spices in the near future. 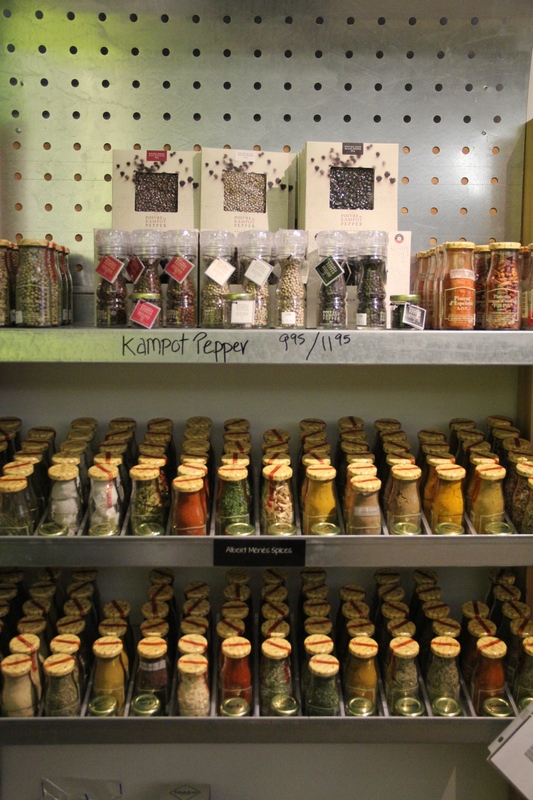 Just a few of the kitchen gadgets that are sprinkled throughout the store. High quality gift bags and boxes are available to create your own combination of products for that special hostess or corporate gift. The staff would also be more than happy to put one together for you and why not add a kitchen gadget or two to complement the products you are buying. I have my eye on their red bottle and may get the lime green one too! For a limited time, you can enter a ballot to win a gift basket when you purchase a bottle of their Grand Cru. NOTE: In March 2015 the two locations in Toronto sadly closed their doors but you can purchase their products online. 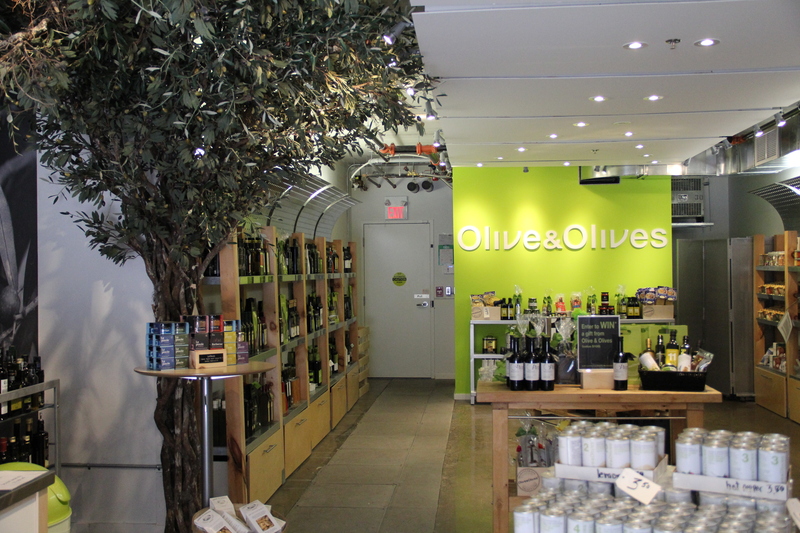 If Olive & Olives opens once more in the Toronto market, I will be thrilled to let you know where they are located. If you are unable to visit one of their locations, you can always purchase their products online. Enter and enjoy the endless delectable possibilities and visit often as they are always introducing new products!! Posted in local storesTagged balsamic, kitchen gadgets, local stores, olive oil, olives, spices, vinegarBookmark the permalink.